Hello and welcome. Why not pop in and say hello, tell us where you are from and what you ride. Latest happenings on The Ducati Forum. Need to create an Avatar/Event/Group etc? Here's how to. Frontpage news, reviews and articles. Chat area for general Ducati questions and discussion. The forum for sticky stuff. Making something special, or working on a project? Post it here. A place for all those frequently asked Ducati questions. Post your non Ducati bike related discussions in this forum. If you hear of any bikes and/or parts stolen tell the world about it so we can all keep an eye out. 1200, 1000, 1100 & 620. GT1000, Smart 1000 & Sport 1000. To advertise your bike for sale you must be a Forum Subscriber. The cost is £5 for 12 months. Please include a guide sales price in your advertisement. To advertise your items for sale you must be a Forum Subscriber. The cost is £5 for 12 months. Please include a guide sales price in your advertisement. Need something? Post it here to see if another member can sort you out. Non biking related stuff for sale. To advertise your items for sale you must be a Forum Subscriber. The cost is £5 for 12 months. Please include a guide sales price in your advertisement. Ride your bike like it is meant to be ridden. If you've seen a cool Duke blasting about post in here. Preparing for a big trip or just some info, here's the place. Your experience of purchasing items from online motorcycle related retailers. 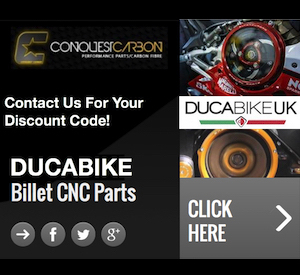 This forum is for discussion regarding the insurance of your Ducati Motorcycle. 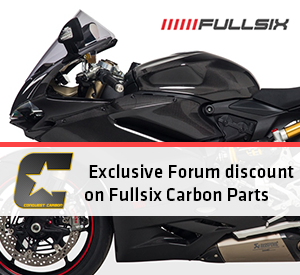 We are dealers for the finest carbon fibre and performance parts available on the market, allowing you to build the individual bike of your dreams. 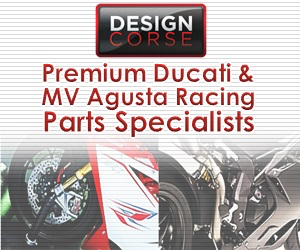 MV Agusta & Ducati performance and specialist parts and accessories, largest bespoke range of parts in the world offering global shipping. Addiction Motorsport Ltd was officially formed in 2013, to provide quality parts for performance cars and motorbikes. Based in the heart of the country in north Nottinghamshire, we are one of only three UK based Ducati approved Service Centres. Powerbronze leads the field in professionally designed, innovative concepts with a dedicated design team that strive to make form perfectly, better than the original. OPIE OILS is the UK's largest independent online retailer of Performance Oils and Fluids. The UK's fastest growing retailer of motorcycle clothing and accessories. Off topic and general banter. Registered users ONLY! This forum has over 350,000+ posts. Register now to get access! Let us know what you think about the site. Test out a new post, new avatar, signature or anything else in this forum..
1000rr.co.uk - The UK's biggest and best Fireblade Forum.